Love or hate the Battle Royale genre, the likes of PUBG and Fortnite have completely changed the gaming landscape with their new approach to PvP multiplayer. 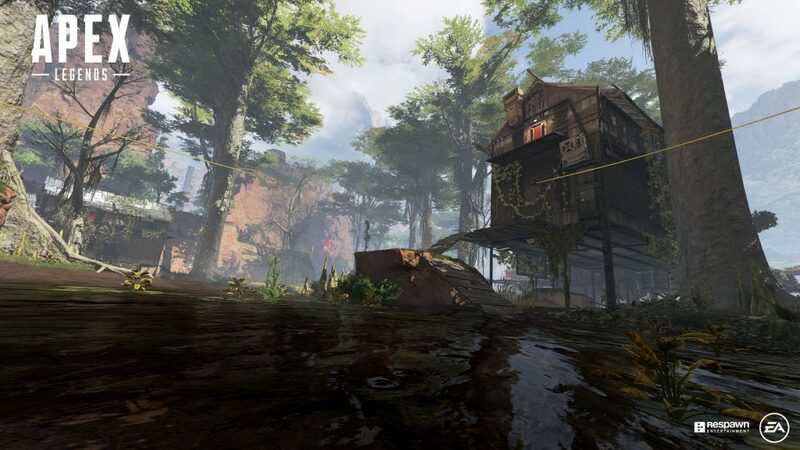 With Respawn’s Apex Legends‘s now joining the fold and jumping in on the trend, there’s no better time to put your survival skills to the test in what is currently the most popular — and perhaps most polished — Battle Royale game out there. Here’s how you can best enter the battlefield, and (hopefully) rise up the ranks. A short one but a good one: holster your weapon (Y/Triangle) when moving. You’ll run faster. You may have already decided which Legend is best suited to your individual play style, but with such a small roster and relatively balanced playing field — even for those Legends available via microtransactions or grinding — you can be just as effective and useful in a match with someone you’re unfamiliar with, provided you actually have the basics down pat. 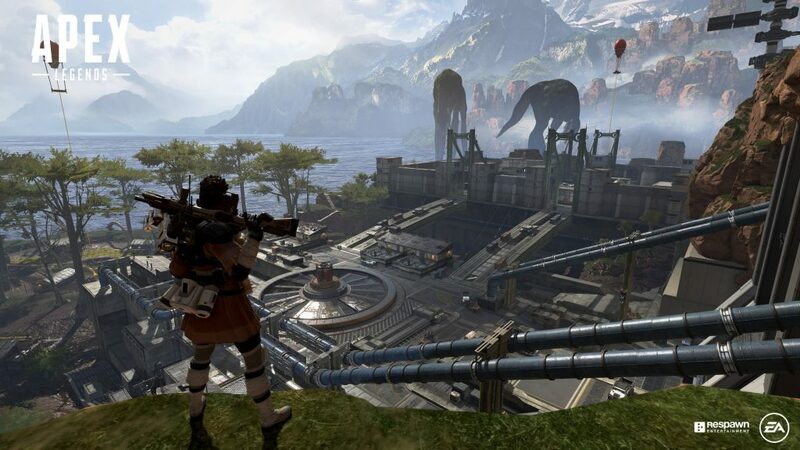 Unlike Overwatch, which arguably is as close to Apex Legends from a roster standpoint as you’re going to find. Respawn’s new shooter doesn’t put too much of an emphasis on each character’s primary skills, as useful and powerful as they may and can be. That’s not to say a useful Lifeline or Gibraltar shouldn’t be part of your squad, but each player has access to the same loot and resources, and the balance across each character’s skill set is strong enough that your squad should be able to easily adapt. Not having a Lifeline ready to provide healing doesn’t mean you can’t boost your health: you’ll just need to be more cautious and on-the-lookout for health and stimulus packs. 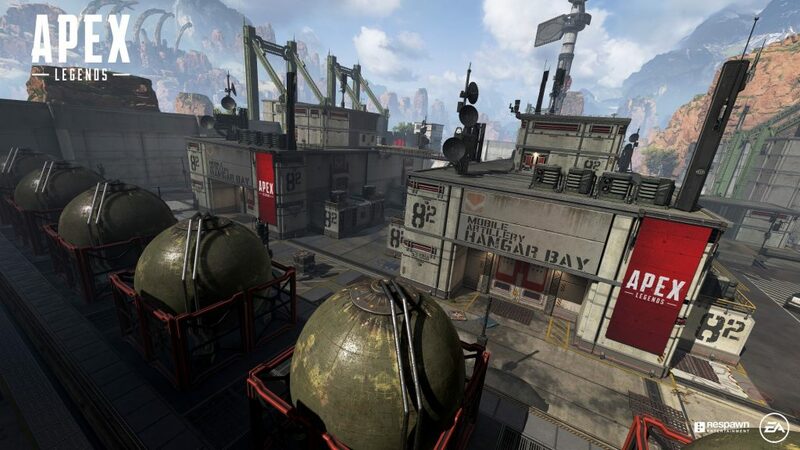 This is probably one area where Apex Legends thrives so early on: without over-saturating the roster, and therefore potentially introducing countless team combinations that can completely change the pace and outcome of a match (like Overwatch), Apex keeps things grounded across a varied albeit well-structured character roster, with classes and skills that are all similarly tracked on the difficulty scale. If you’re really stressed out about being Jumpmaster and not knowing where to land, you have a few options available to you. If you’re picking third, you’ll know you’re going to be Jumpmaster. In that case, simply let the game auto-pick for you, and the role will then be passed onto the player that picked second. Alternatively, let your squad know you’re not really sure on where to land, and let them ping a desired location. You can then accept their choice, and jump out heading towards that location. If you do opt for Jumpmaster and want to take on responsibility, then you’ll need to own your decision. Opt for a location that is dense, and far away from the action. That means no wide, open space, and no central locations. The Swamps to the east, and Slums to the north west are always good starting locations for your first jump. King’s Canyon (“Bridges” on the map, dead in the middle) presents an early opportunity for the best loot early in a match. However, be wary that it’s likely the drop point for many seasoned players, so be ready to get right into a fight early on. While this tip is at odds with the above tip in that it suggests you drop right into the thick of the action, if you’re confident enough and know the ins and outs of the genre and game, you can use this location as a primary spot to set yourself up with high-tier loot. As it stands as the final spot for the supply ship, you can try landing on or near to get yourself some good loot. Landing on the ship will give you early access before the loot’s actually dropped, and you can drop down into the action without actually getting fall damage. Further to this, Supply Bins are scattered around the place, and stand to hold the best gear outside of supply drops. Be cautious, however: they are often placed in wide, open areas, leaving your prone to enemy fire. Have your squadmates search the crates beforehand — or you before them — so that someone can keep a watchful eye. Thankfully, even without pinging, your character will call out enemies as soon as you see them, so your squad will know if an enemy is nearby. 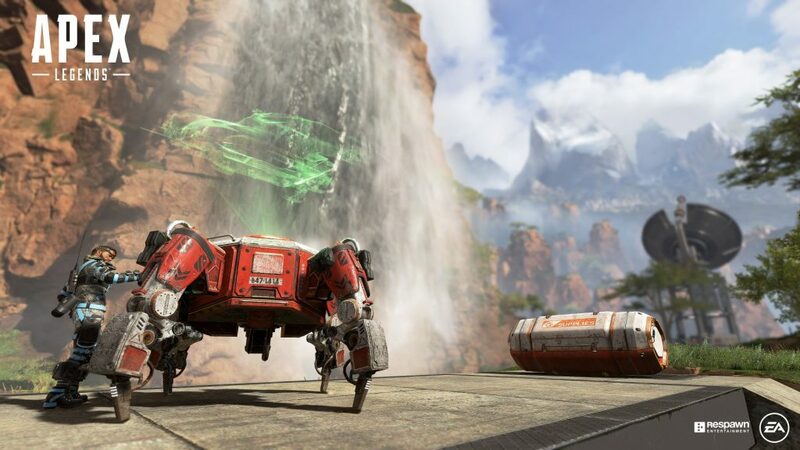 The Ping system in Apex Legends is reflective of the game’s strong team sensibilities. 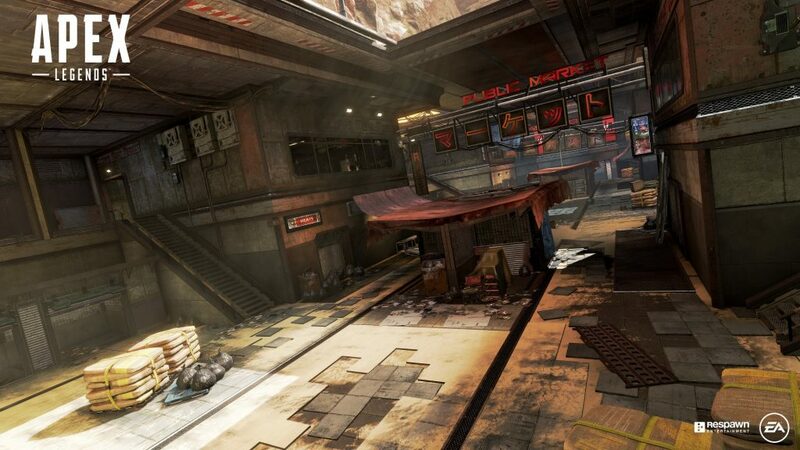 It allows you to select locations, gear, or enemies to “ping”, alerting your teammates to the location. This is especially useful for teammates that are lacking certain gear or attachments; to help guide teammates where there may not be any voice action amongst the squad; or to alert your squad to nearby enemies. 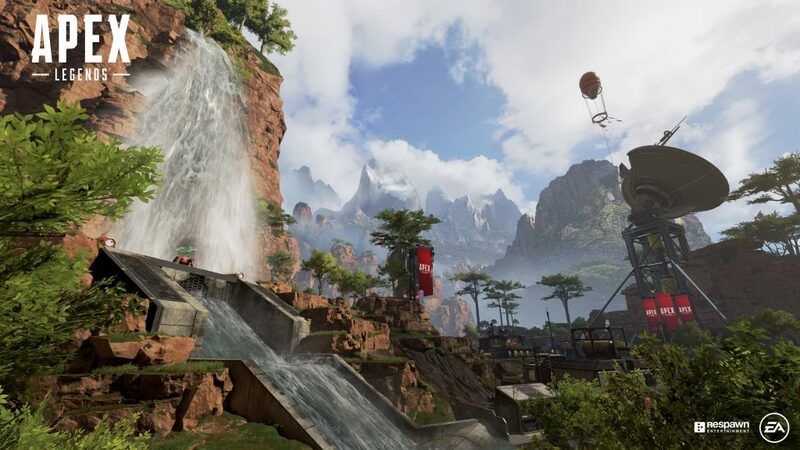 Apex Legends is a weird combination of fast-paced action, and patient progression. You want to move from location to location quickly, but given the size of the map and number of players, it’s not really necessary to rush for the best loot, given you could go an entire match without seeing a single enemy until the final stanza. The primary objective is to explore, ping, communicate, and load-up: the game is built around the assumption you’ll make it to the end, rather than being an experience that forces players to engage as often as possible. If you’re under-supplied and find yourself under enemy fire, move away from the action, and slowly work your way towards finding new gear. If you find yourself in an unavoidable situation under fire, and can’t escape, use your character’s mobility and melee attacks to damage your opponent. While the odds are most certainly against you, unless they have a shotgun you’ll be pleasantly surprised just how effective a good and chaotic melee attack can be. Assault Rifle will always have their place, but the Shotgun should be your weapon of choice in Apex Legends. They mostly have ridiculous range, and the most accessible, and cause the most damage. While there’s certainly a range of awesome rifles and pistols at your disposal, a shotgun should always be in your arsenal. Have any Apex Legends tips? Share them in the comments below!